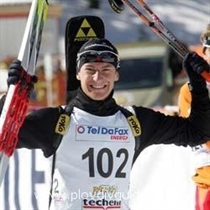 Bulgaria's Krassimir Anev won a gold medal in the 15-kilometer youth race in the European biathlon championship, which is taking place in country's winter resort Bansko. The young competitor finished for 47:05,0 minutes and made only two mistakes in the shooting. The second place was taken by the Russian Viktor Vassilev and Henrik Labe Lung from Norway came third. Earlier in the day, Bulgarian Pavlina Fillipova ranked 8th, Irina Nikulchina - 13th, Radka Popova - 16th and Nina Kadeva - 21st in the 15-kilometer rice for women.